Heading to Matrix Cards and Games in Redding, CA and the format allows me to include a 30K leviathan detachment. I signed up on Sunday and I leave this Friday night, so I had to get painting. 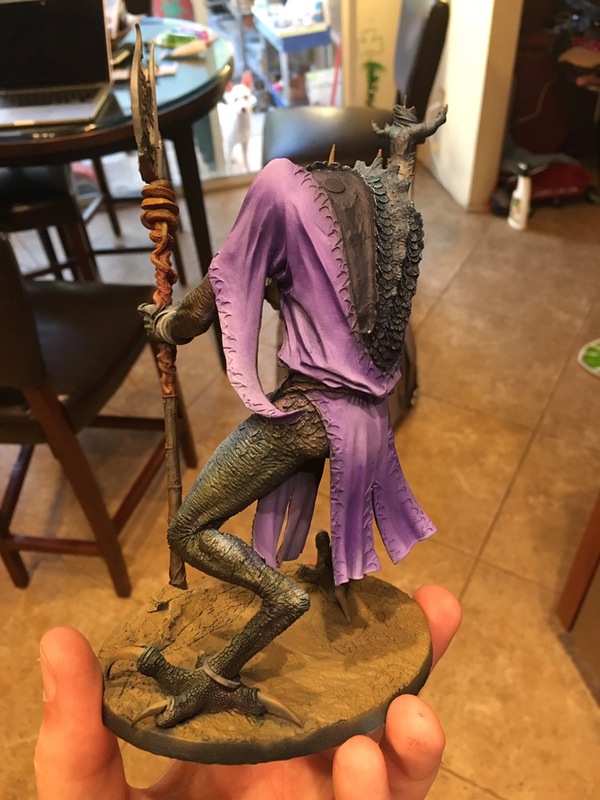 Using nothing but AV game air paint, I added color to the robes using a dark purple, lavender and pink flesh tone. The skin uses about 4 shades of blue, a purple, green and orange. 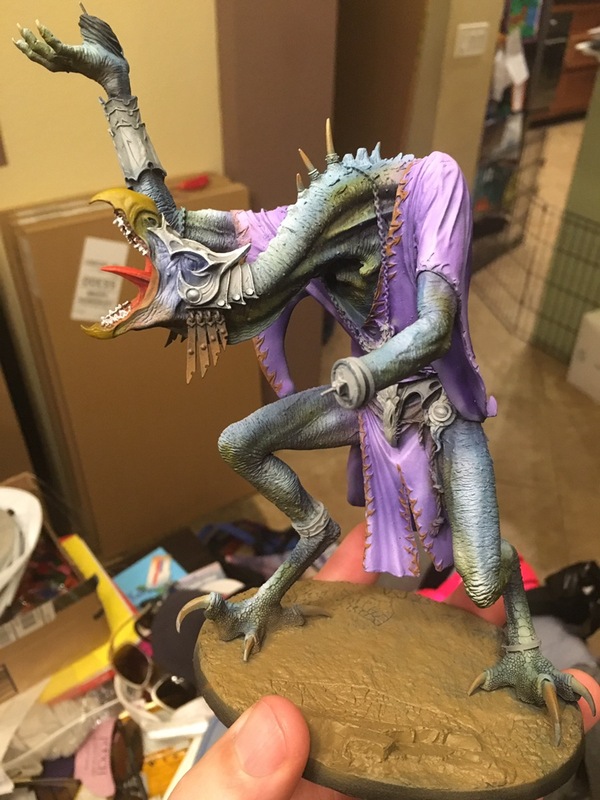 I hit any other parts with a base coat of color as I saw fit. 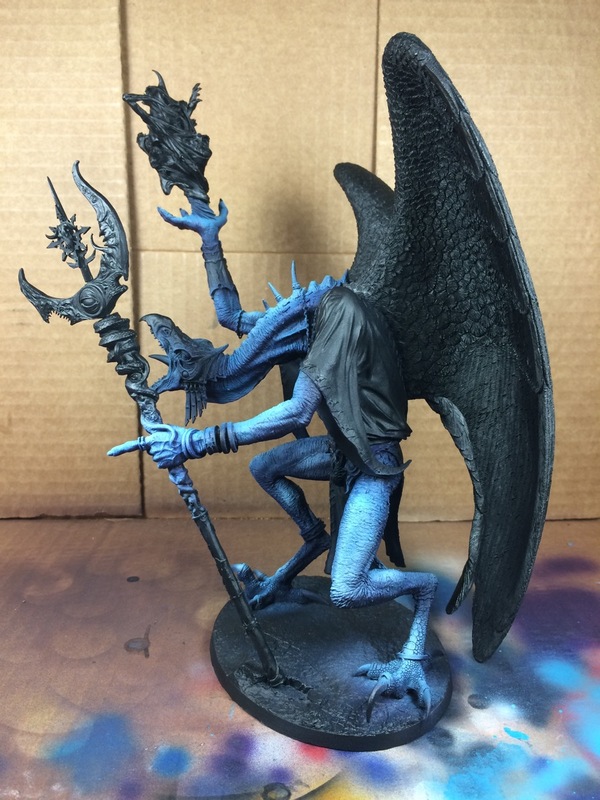 I used a similar washing technique to the one I used on the bloodthirsty, but used an airbrush medium from liquitex to dilute the wash already on the model if I needed to tone down the depth of color. 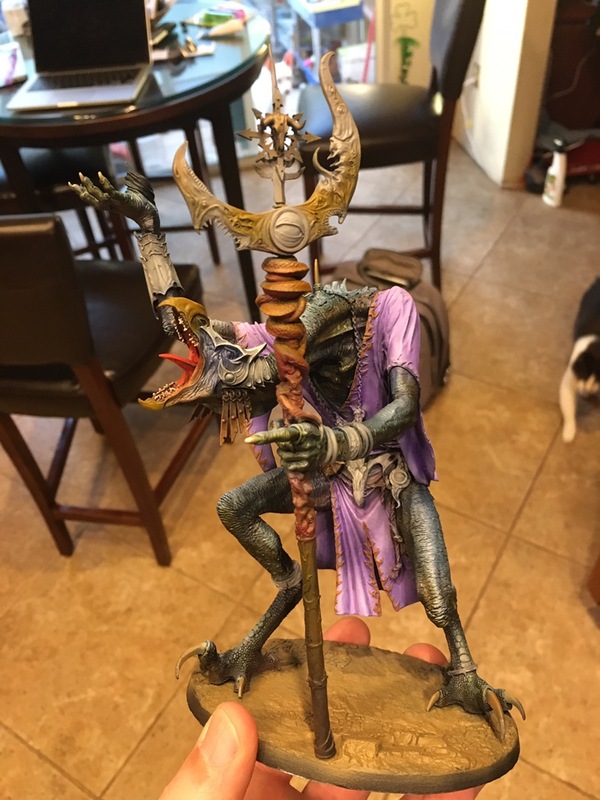 This entry was posted in Painting and tagged Chaos Daemons, Monstrous Creature, painting, Tzeentch by Peter Kelly. Bookmark the permalink.